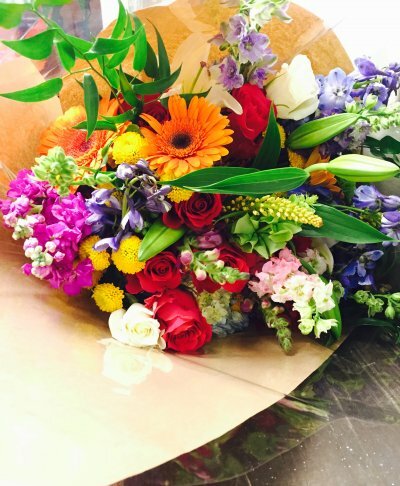 Puyallup is lucky enough to have well-established florists in the community. Flowers are an important part of many occasions. From celebrations, funerals, dances, or just a kind gesture, flowers are a great way to say something without having to say anything at all. Below you will find some of the most popular florists in the Puyallup Area serving both downtown and South Hill. Buds and Blooms on South Hill in Puyallup, WA, is a family owned business that has been serving Puyallup Valley customers for over 30 years. They service and deliver to Graham, Edgewood, Federal Way, Auburn, Spanaway, Parkland, and Tacoma. They have a friendly staff of experienced and friendly designers, to assist you at any time with their custom design work for weddings, funerals, holidays or special occasions. Buds and Blooms carry a wide variety of fresh flowers, plants, European basket gardens, gifts, candles, balloons, stuffed animals to delight anyone. Their specialty is their selection of gourmet Seattle Chocolates and Chocolate Truffles, in many sizes. The Lady Bug Florist is a local Puyallup, WA florist with over 30 years’ experience in delivering courteous and professional service, along with the highest quality floral and gift items around. Owner and designer, Marilee Johnson invites you to order Monday through Friday 8:00 to 5:00 and Saturday 8:00 to 3:00. The staff is ready to assist you with placing orders for local delivery or anywhere in the world. Not sure what to send? Let them offer some creative suggestions. Wedding & Special Event Flowers with The Lady Bug Florist designing the bouquets and arrangements, your wedding is sure to be a “blooming success!” Call in advance at (253) 359-5268 and schedule a consultation with one a talented floral expert. They also offer on-site decorating and corporate event planning as well. Benton’s Twin Cedars Florist is committed to offering only the finest floral arrangements and gifts, backed by service that is friendly and prompt. Shop hours are 8:30 a.m. to 5:00 p.m., Monday through Friday and from 9:00 a.m. to 3:00 p.m. on Saturday. Closed on Sundays. To help assure on-time delivery during the busy holiday season, place your order at least 2 days prior to the following major holidays: Thanksgiving Day, Christmas Day, New Year’s Day, Valentine’s Day, Easter, Administrative Professionals Week, Mother’s Day, Memorial Day, Father’s Day, Independence Day and Labor Day. This shop will always be closed on the following holidays: Thanksgiving Day, Christmas Day, New Year’s Day, Easter, Mother’s Day, Memorial Day Father’s Day, Independence Day and Labor Day. You should have no problem getting your needs met with so many great florists nearby!